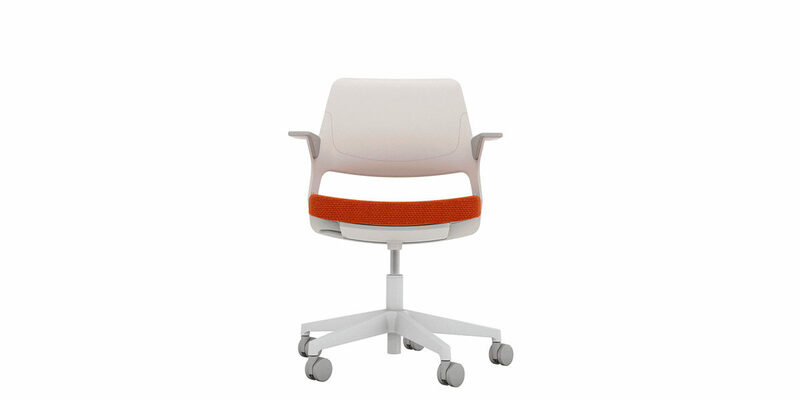 Ollo is a modern-day everywhere chair designed for both improvisation and spontaneity across the office. 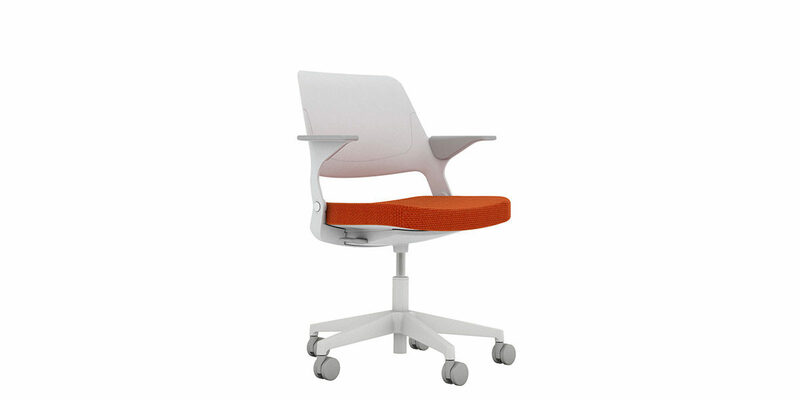 A straightforward chair that provides continuity throughout the office. 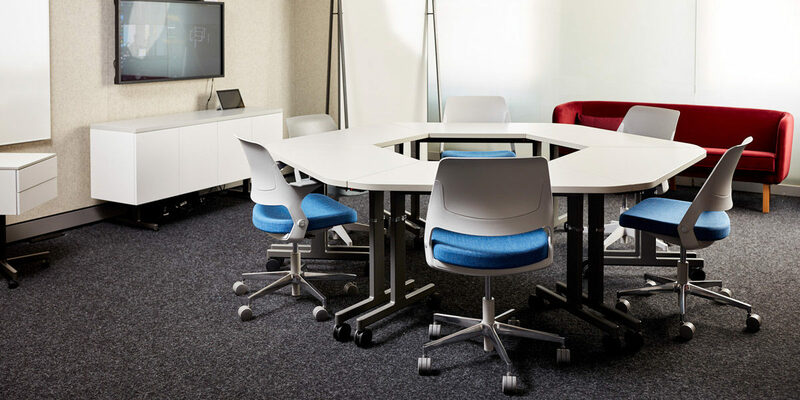 It incorporates only features that are essential to a light task chair – from easy height adjustability to a smooth recline. The result: simplicity in its purest form, allowing you to improvise freely. Along with its organic shape and streamlined profile, a softer look and sense of hospitality is created. 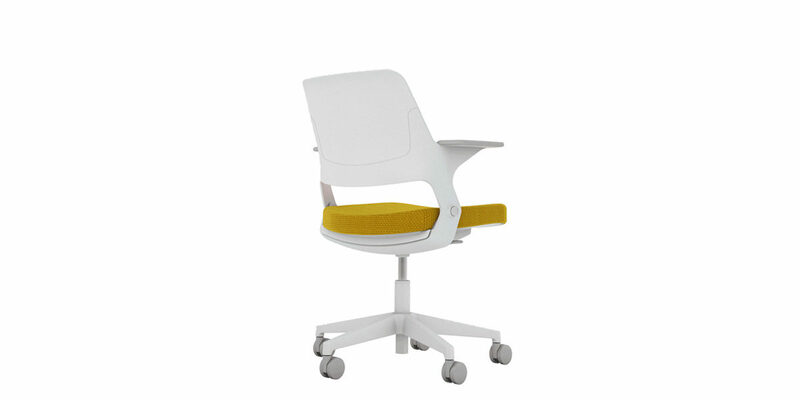 This chair supports improvisation, meeting you wherever you work, whatever your task. 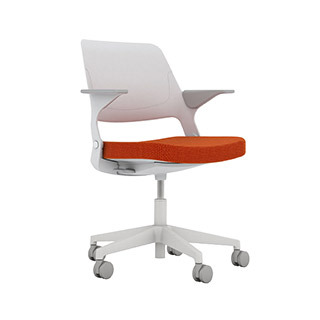 Flexible in both form and function, the chair responds to different users and activities. Drawing from classic mid-century designs, Ollo combines a familiar and intuitive open form of the past with lighter and more flexible contemporary materials. 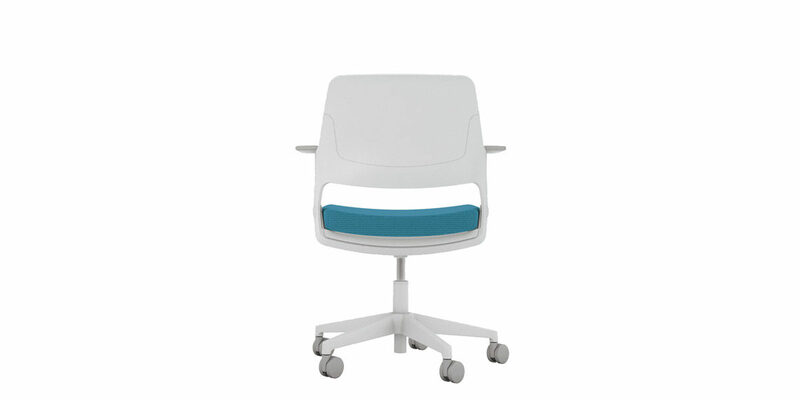 Active Pivot control creates a smooth, effortless recline. Balanced Back allows the ideal amount of flexibility and support for either relaxed or focused postures. The lower back is structured and stable to provide lumbar support and control, while the upper back flexes to accommodate your movements.